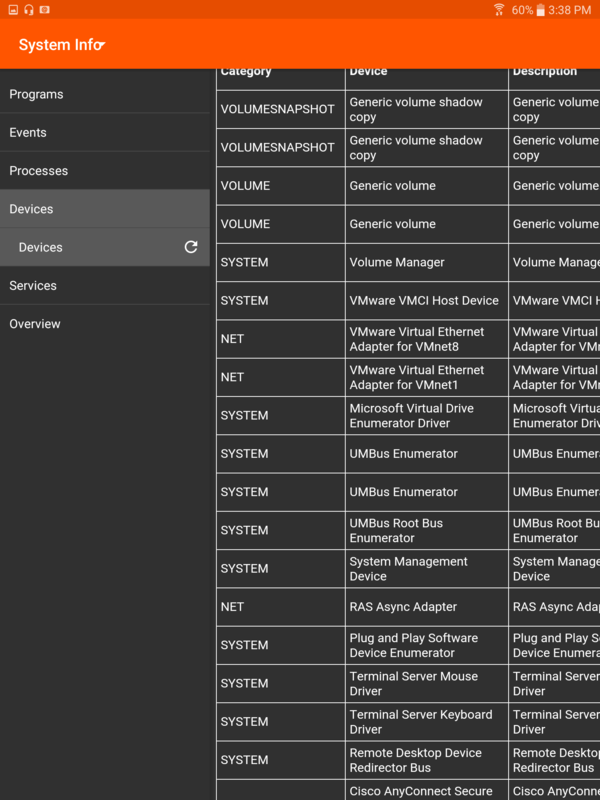 Privileged users may view a complete snapshot of the remote device's or computer's system information to reduce the time needed to diagnose and resolve the issue. The system information available varies depending on the remote operating system and configuration. Select successive category names to access the data you wish to view. Once the data has been populated, you can touch the Refresh icon to retrieve the most recent data.